Slim-fit protective cover and adjustable viewing stand. 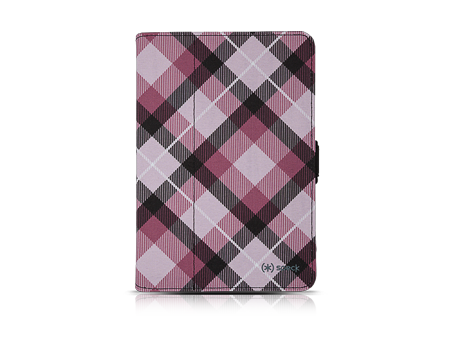 Protect your iPad mini in tailored style with the fashion-friendly FitFolio! This sleek, form-fitting case features a protective padded cover, soft microsuede interior, and a custom hard-shell cradle. FitFolio has a new snap closure to keep your case securely shut and a style that's sure to fit your personality as well as it fits your iPad mini.